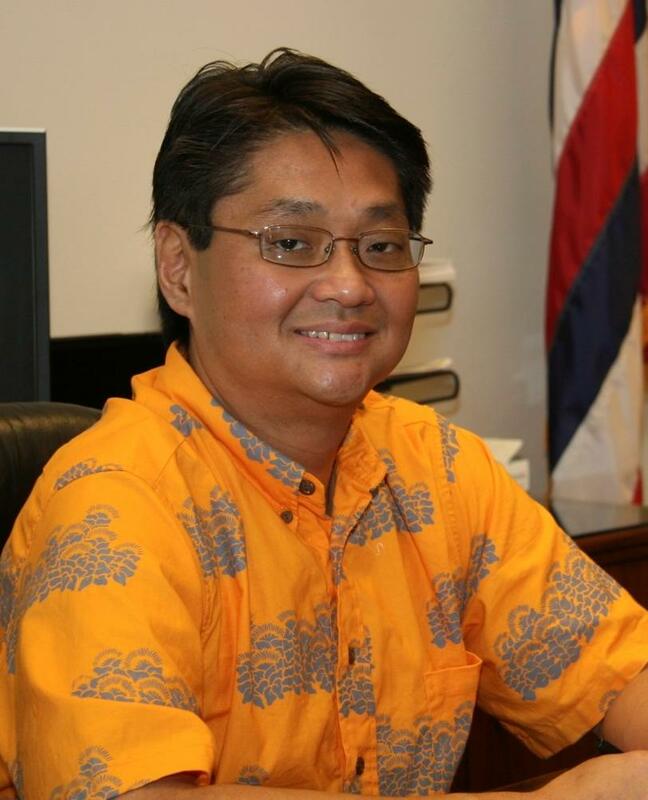 I have been a faithful weekly reader of your Hawaii Trib column for a long time. Your Road Runners group are sensational!! I feel saddened by your health dilemma now, but very inspired by the message you always seem to put out. 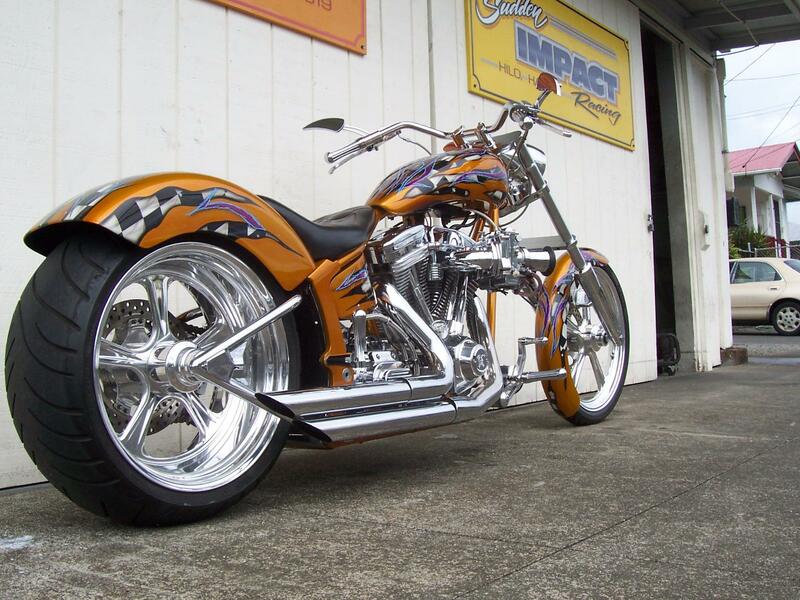 Your positive attitude, giving nature, and sense of humor, has always keep me up! You’re an inspiration to one and all. You always seem to bring out the best in everyone. I just wanted to touch base and let you know how you have impacted my life, as well as many others, for the better. Even though we’ve never met, I know you have so many friends and will always be remembered. You’re going down in history! Thinking of you and wishing you love and feeling connected. This is the ultimate honor. 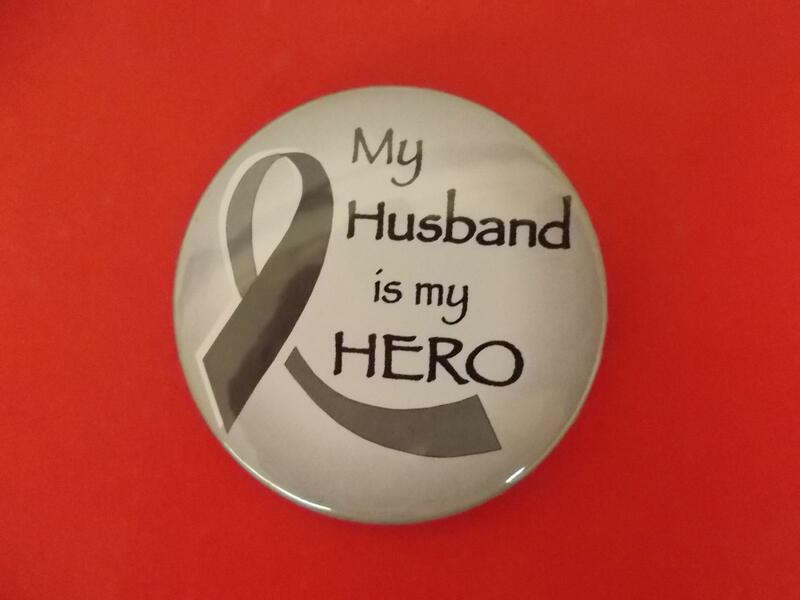 My wife Randee wore this button to Keaau Middle School all day! When she showed it too me it brought me to tears She is a good person and a great caregiver. 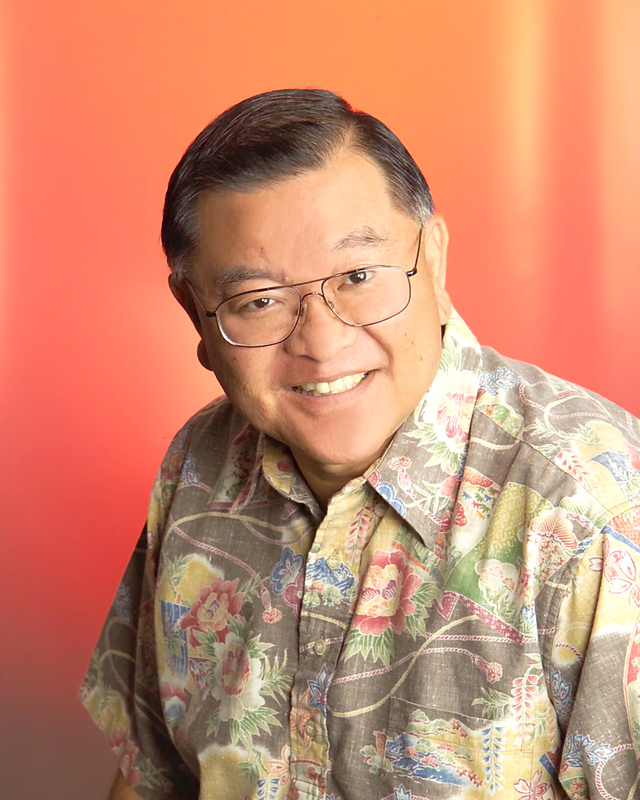 Aloha Mr. Joseph!Over the years, my husband and I have enjoyed reading your articles in the Tribune Herald. Upon reading yesterday’s paper (11/26/12), it was put upon my heart to tell you how you have impacted my family.Back in high school (1986), I ran cross-country. I wasn’t very good, and actually came in dead last in a meet once! 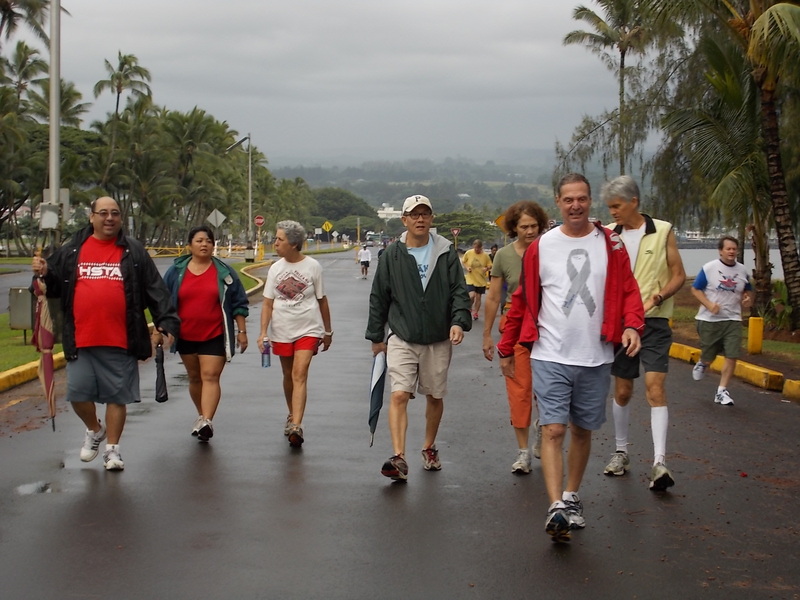 But, I enjoyed the camaraderie, being outside, and taking in the fresh air. The years have flown by since then, and running fell by the wayside.Within the past couple of years, I have made a semi-regular effort to exercise, including jogging. Last year, my 17 year old daughter suggested that we run the Veteran’s Day 5k. Since mother/daughter time is rare, I bared the cold and rain and headed to Coconut Island with her. It was our very first 5k, and we created some great memories! She has since gone off to Colorado for college.This year I decided to do it again, and to my surprise, my husband decided to join me! 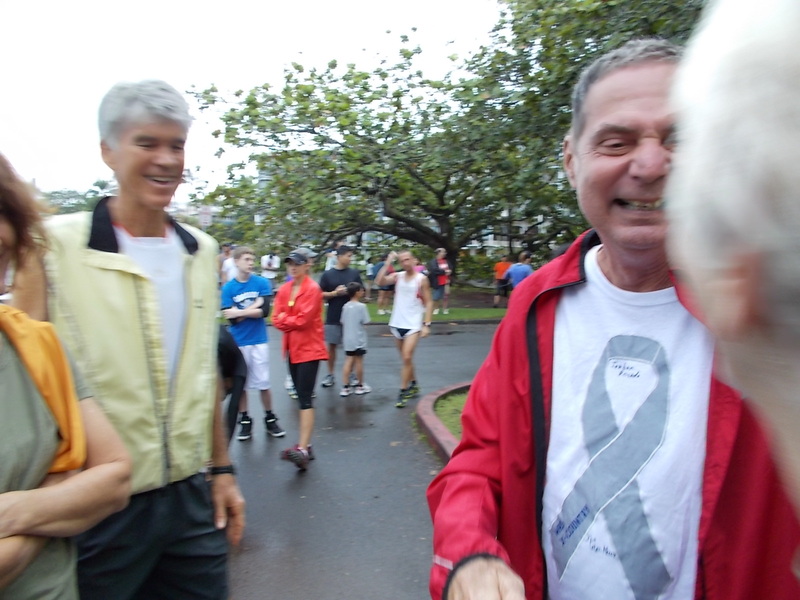 He is 55 years old and has always stated that he hates to run, but he actually ran most of the way! 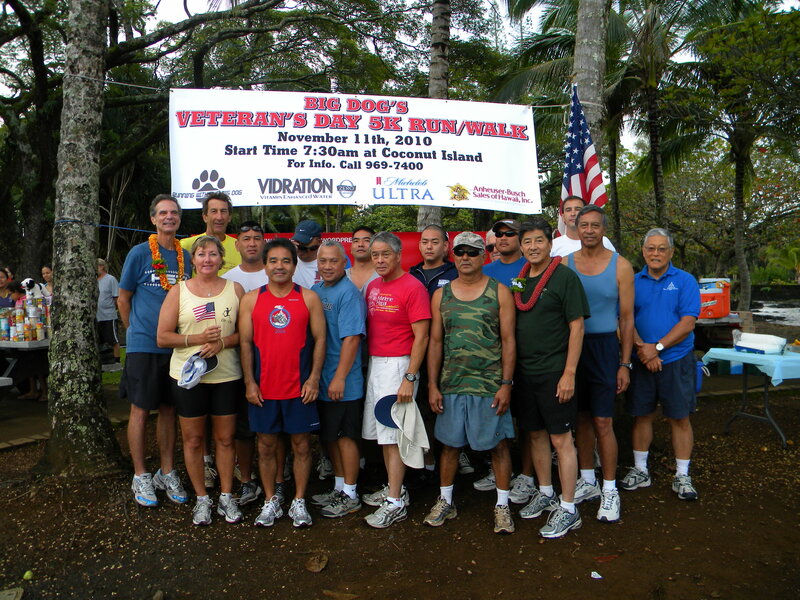 He ran in honor of his father, George Inouye, veteran of the 100th Battalion. It was a very touching tribute. 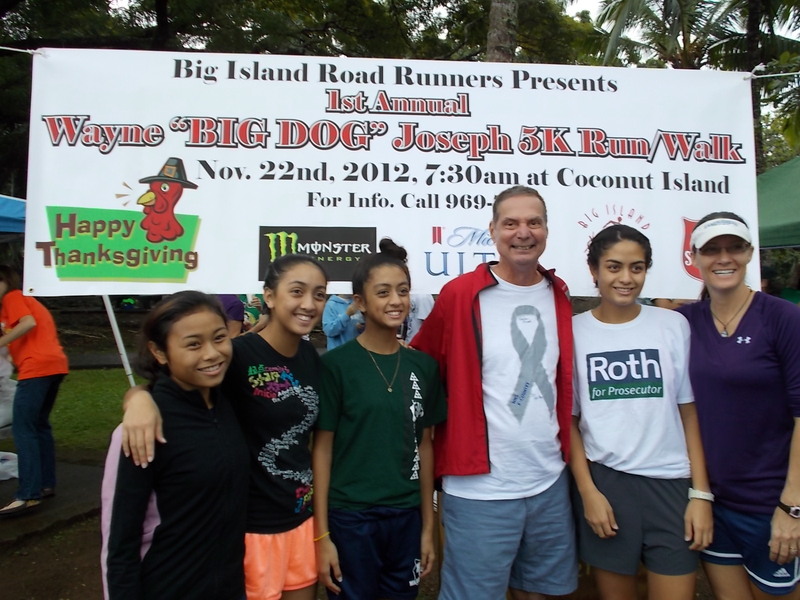 In addition, we also ran the 5k on Thanksgiving! We appear to be adjusting to our empty nest a lot better than I had imagined. 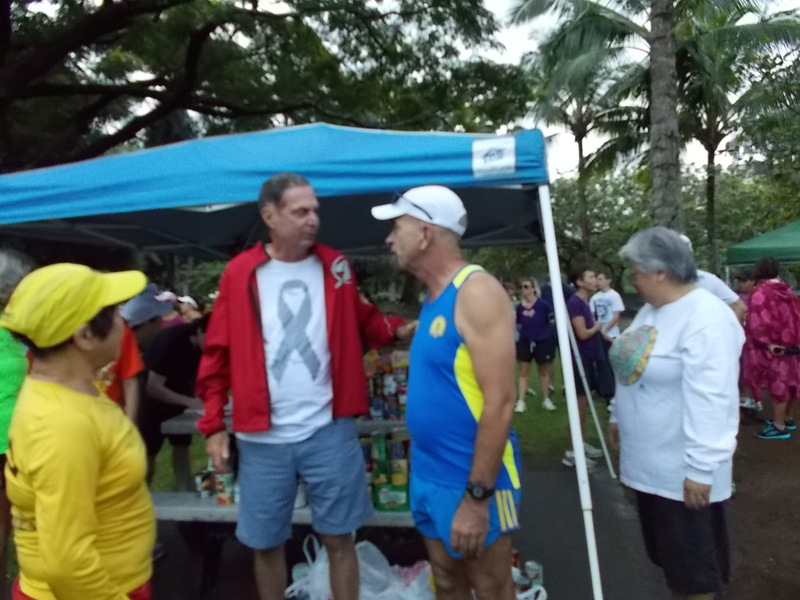 I wanted to share this with you because if it weren’t for your passion for running and your compassion for others, my family would have never become involved with these events – we would have been too intimidated! 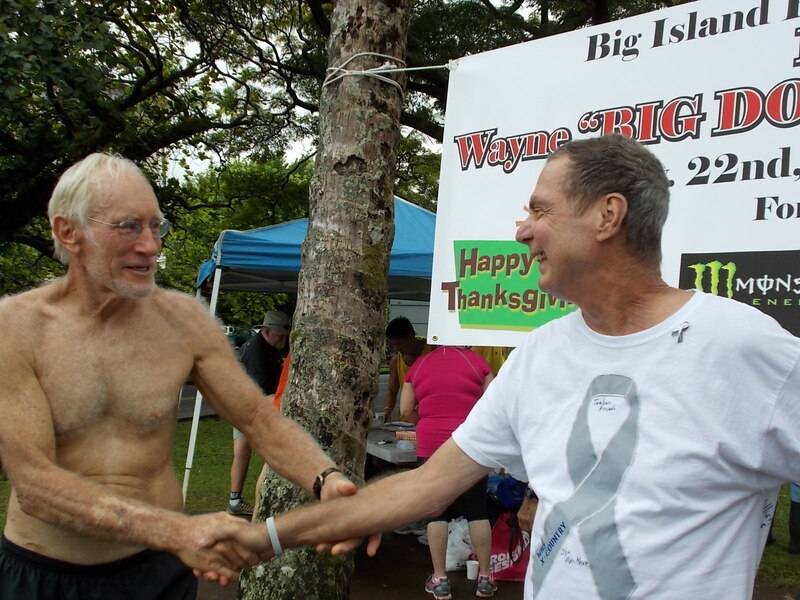 Your name is synonymous with running on the Big Island, but it is your smile and heart that inspires us most. We came out not only to run, but also to show our support for the Big Dog. Truer words can never be spoken as we reflect on the meaning of Thanksgiving. I’ve been blessed over the years with many friends and supporters and have never found myself short of money to buy food but there are those not so lucky. 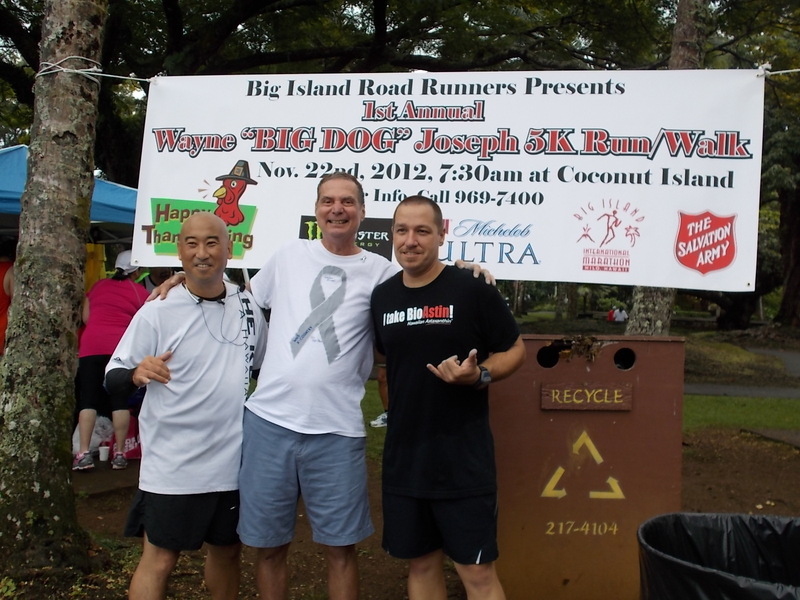 That is why I‘ve been so honored to be the first ever recipient of the Big Island Road Runners Club Thanksgiving Day 5K run/walk. The BIRR was looking at a way to give back to the community by combining a joint effort to raise money or food for those less fortunate through the Salvation Army. 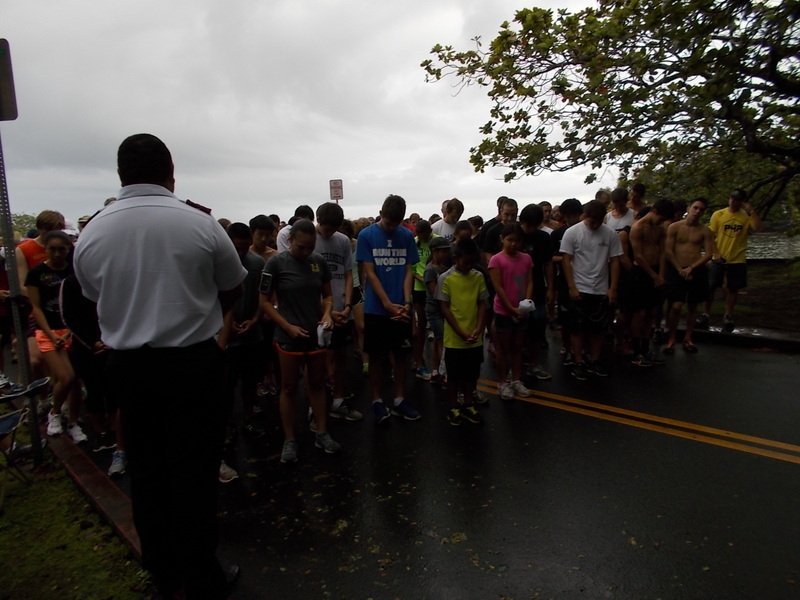 Over 300 runners and walkers participated on Thanksgiving Day and were asked to bring a can good or to make a monetary donation. Over $641 was raised and 6 large bins of canned goods went to the Salvation Army during this most critical time of the year. Despite having Stage 4 terminal brain cancer I am regarded as fully functional and that in itself is indeed a blessing. As I reflect on the many things I am thankful for I have to say I appreciate all the many people that care about me. You see to be functional means I have my wits about me. It means I look forward to waking up every morning at 5 am. 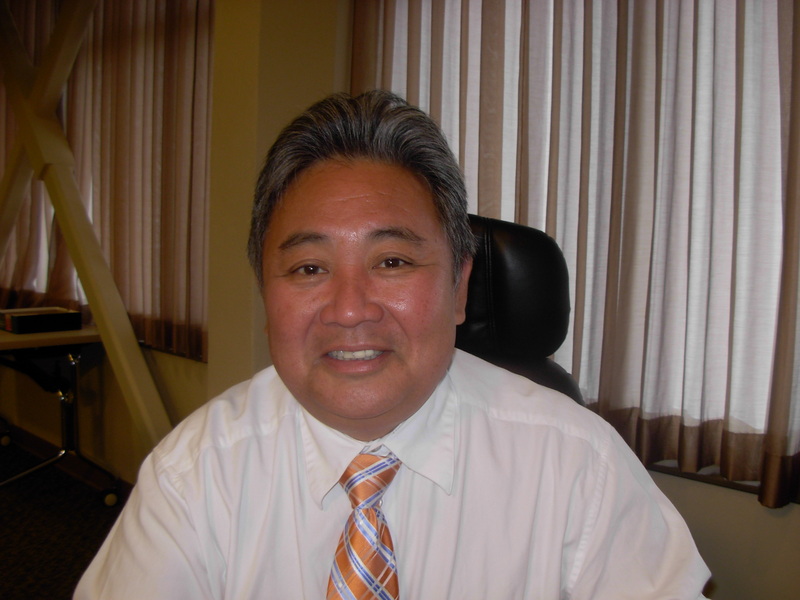 I am still able to do my five to seven mile walk each day. I can prepare for what the future has in store for me. For some people the end comes instantly, like an accident or a heart attack. For me, I know my time here is limited and I have started to plan for my final days. I look forward to each day and prepare better for it. I have a deeper enjoyment toward life. Each day gives me hope and brings me a deeper appreciation for those things that I normally take for granted, like my loving wife and now care giver, Randee. So I’m honored that the BIRR would make me a part of their Thanksgiving run/walk as well as making it a benefit for the Salvation Army as a means to raise money and food for those that have so little during this holiday season. 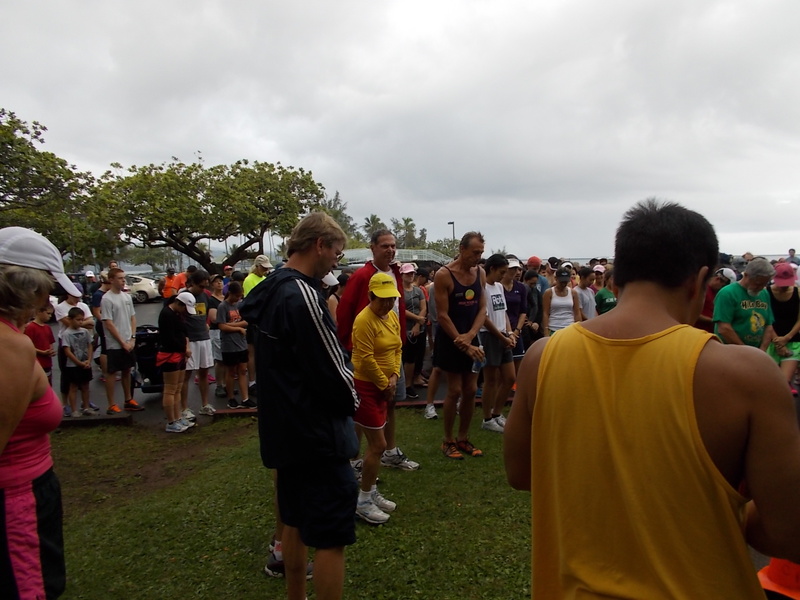 During the 3.1 mile race it was Hilo High’s Stephan Hunter coming in first overall for the men in 17 minutes 11 seconds with Waiakea’s Ian McQuate 1 second behind. McQuate echoed Hunter’s sentiment and is thankful for his own family and friends. Following in third place overall was Joe Barcia in a time of 17:55. “I am thankful for family and friends and especially that my daughter got up early to come down and be a part of the wonderful event,” Barcia said. In fourth overall was Sven Loeschengruber (17:58), fifth was St Joseph’s Andrew Langtry (18:06) according to Rick Otani timer for the BIRR event. 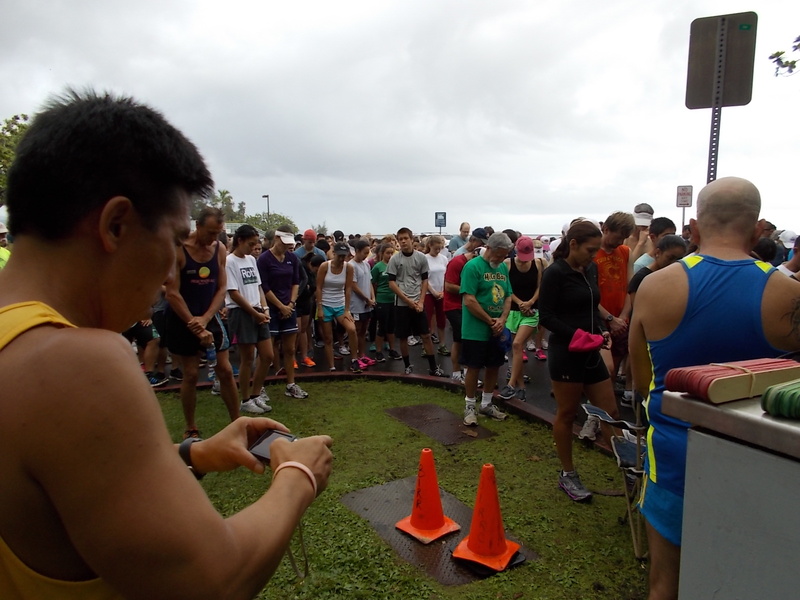 For the women it was a pair of Hilo High girls taking first and second place. They also happen to be the best of friends, Carmen Garson Shumway in a time of 20:38 and Mehana Sabado-Halpern 10 seconds behind. In third for the women was Heather Rosario (21:38) fourth Lory Hunter (21:52) fifth Eqberiela Benito (22:05). Garson-Shumway noted that she came out to do this run in support of the Big Dog and so did Sabado-Halpern and for raising donations for a great cause the Salvation Army. 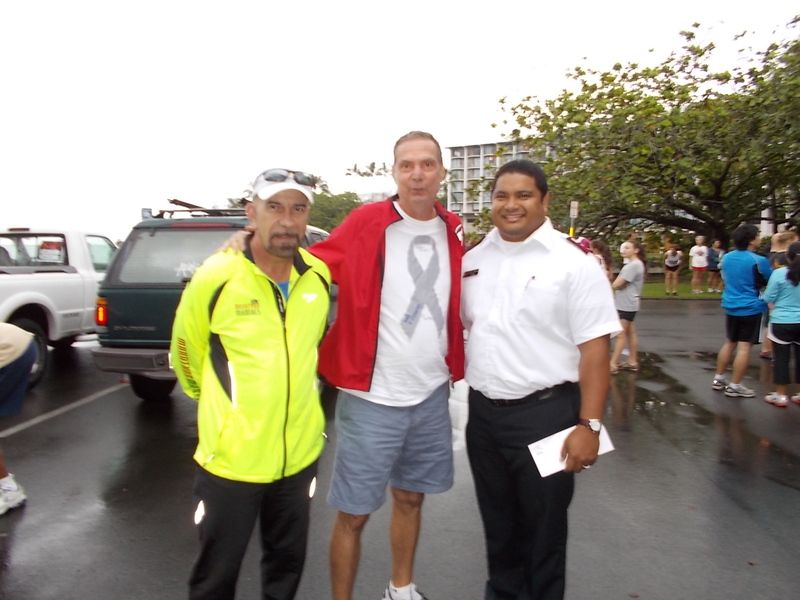 So on this typical liquid sunshine day in our hometown of Hilo many folks came out to enjoy a fun filled community event. They all shared the same sentiment of wanting to give back in record numbers to those less fortunate.